What’s Really in that Fish Oil? Know Your Rights and Make Your Voice Heard! Well, Easter is over and it’s time to put the chocolate away. A lot’s been happening in the class action world recently, and we’re back to bring you the biggest and most recent news. Whether it’s companies allegedly continuing to mislabel their products (we’re looking at you, Costco and Hanes) or acting in ways that may directly violate federal law (for instance, failing to pay workers for time spent putting on and taking off certain work clothes), it’s never been more important to know your rights. Plus, as always, we’ve got the latest settlements you could take part in. So, read on, and don’t forget that you can comment on all of our pages and blog posts if you have anything to add! Attorneys working with ClassAction.org are interested in hearing from anyone who’s bought Costco's Kirkland Signature Wild Alaskan Fish Oil. What’s the problem, you ask? Well, independent lab tests have shown that the supplement may contain far less omega fatty acids than advertised. If this is true, the manufacturer could be breaking federal laws – meaning that you may be able to take part in a class action lawsuit to seek compensation for the potential mislabeling. According to one lawsuit already filed in New York, the Wild Alaskan Fish Oil is sold alongside claims that it contains 1050mg of omega fatty acids per dose – but the soft gel tablets actually contain far less. 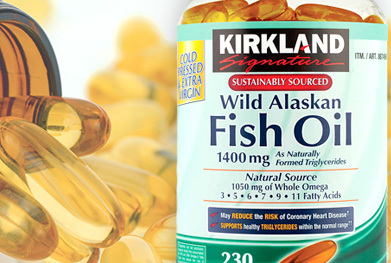 In fact, a Consumer Labs' test on the Kirkland supplements found that despite the product’s claim of containing 720mg of omega-5s, 6s, 7s, 9s, and 11s, the fish oil pills actually contained only 346mg. Do you take these supplements? If so, read on. If you’re unlucky enough for your home to suffer roof damage after a storm, how can you be sure that your insurance company is paying you everything you’re owed? A number of insurance companies – including State Farm, Allstate, Liberty Mutual, Nationwide, and more – may be cheating homeowners out of hundreds of dollars by only paying out for the repair and/or replacement of one layer of roof – when most roofs are actually made up of two. The worst part is, most homeowners don’t even realize they may be getting short-changed because of this alleged practice – which may be industry wide. Attorneys working with ClassAction.org investigating these allegations – and whether class action lawsuits can be filed. They would like to hear from anyone whose roof was damaged by hail, wind, or storms, who made a claim through their insurance company to help with their investigation. Get in touch here. Ice If You Can Get It – Samsung Fridge Built-In Ice Makers Causing Problems? A number of issues have been reported with Samsung refrigerators’ built-in ice makers – and at least one lawsuit has already been filed. According to customers who’ve noticed a range of problems, water can leak under crisper draws in the fridge, over-iced compartments can cause the fridge fan to make a clicking or knocking sound when it hits the ice, ice buckets can become stuck due to clogged and over-iced drains, and “slushy" ice and water droplets can collect in the bottom of the ice maker. (The issues seem to mostly concern models with French doors and pull-out freezer drawers.) Samsung reportedly released a technical service bulletin in July 2015 that identifies many of the issues reported by frustrated consumers, but stopped short of offering any repairs or replacements itself. Since Samsung clearly recognized the problem, but chose not to do anything about it, attorneys believe a lawsuit may be able to seek compensation on behalf of consumers. Want to know more? Just read on. Across the country, dozens of companies are facing class action lawsuits for allegedly failing to pay workers for “donning and doffing” – meaning, the time spent putting on and taking off work-related gear. While there’s no expectation that companies should pay workers for putting on regular clothing – even items such as hard hats or work boots – time spent putting on or taking off “personal protective equipment,” such as safety glasses or ear plugs, should be compensated as part of your wages. There’s quite a bit of confusion about what exactly counts as regular clothing and what’s not – but if you think you may be owed money for time spent “donning and doffing,” get in touch with us today to find out more. We’ve written before about banks charging extended – sometimes called sustained – overdraft fees, but the practice reportedly remains a problem, with banks charging multiple fees when customers remain in the red for a specific amount of time. Even though they’re being presented as “fees,” the charges are essentially acting as interest – and at a rate that’s illegal under the National Bank Act, attorneys suspect. The charges usually occur seven to ten days after you overdraw your account, and are separate (and additional) to the basic overdraft fee you were hit with when first making the purchase. Chase and TD Bank are already facing lawsuits – and we expect more will soon follow. Read more. In what has to be one of the more shocking cases we’ve reported on recently, a proposed class action lawsuit in New York alleges that Mead and Johnson Company’s Enfamil Infant Formula was contaminated by disease-carrying insects and led to the hospitalization of a child. The plaintiff, a mother from Brooklyn, alleges she and others have been misled into purchasing an unsafe product that Mead Johnson has been negligently manufacturing and selling. The suit includes pictures of the insects allegedly found in the formula – and the plaintiff claims that after her child became ill a second time, more cans of the Enfamil she purchased also were found to contain traces of insects. The proposed class action seeks compensation for anyone who purchased Enfamil in New York within a specific timeframe. To read more about the case, click here. Hanesbrands Inc. has been hit with a proposed class action lawsuit over the company’s socks, tights and hosiery advertised as having “innovative run resistant technology.” The plaintiffs, from New York, argue that despite the premium price, the company’s L’eggs products show no discernible difference regarding their run susceptibility and, therefore, were marketed with “unreliable and misleading language.” The proposed lawsuit essentially alleges that if consumers knew the “run resistant technology” claim was just a marketing tactic, they would not have purchased the stockings. The suit seeks to cover a nationwide class of consumers, and if you think this affects you, find out more on our website. Two men in New York have filed a proposed class action over the Port Authority of New York and New Jersey’s alleged targeting of gay and/or gender non-conforming men using public bathrooms in the Port Authority Bus Terminal. According to the proposed suit, officers would routinely single out men perceived as gay and arrest them on baseless charges, often simply to improve “quality of life” arrest statistics. The case alleges that the discriminatory arrests were made with indifference to the consequences and often under the belief that those accused would be forced to plead guilty to lesser charges in order to avoid public embarrassment and professional reputational harm. Read more. A jury in Missouri has ruled in favor of Johnson & Johnson in a rare victory for the company, which continues to face allegations that its talcum powder is linked to an increased cancer risk. The plaintiff, Nora Daniels, was ultimately unable to convince the jurors that her ovarian cancer was directly linked to her 38 years’ worth of talcum powder use. Despite the company’s claims that scientific research shows no link between its products and ovarian cancer, courts have awarded plaintiffs multi-million dollar payouts in earlier trials.